UFC Calgary takes place from the ​Scotiabank Saddledome in Calgary, Alberta. The main event features a rematch between former UFC lightweight champion and No. 3-ranked Eddie Alvarez takes on No. 4-ranked Dustin Poirier. In the co-main event, former featherweight champ and No. 2-ranked Jose Aldo faces No. 4-ranked Jeremy Stephens. Also, former women’s strawweight titleholder and No. 1-ranked Joanna Jedrzejczyk battles No. 5-ranked Tecia Torres. Alvarez and Poirier first met at UFC 211 back in May 2017. Near the end of the second round, Alvarez landed a series of knees, one of which struck Poirier’s head while Poirier had his hands on the mat. Referee Herb Dean met with Marc Ratner, the UFC’s vice president of regulatory affairs, and ruled the fight a no-contest. A rematch appeared to be the likely, but Alvarez and Poirier went different routes. Alvarez (29-5) went on to defeat Justin Gaethje in a “Fight of the Year” candidate at UFC 218, while Poirier (23-5, 1 no contest) stopped Anthony Pettis and Gaethje, respectively. The winner is likely to be the No. 1 contender and fight champion Khabib Nurmagomedov or the victor of a rumored Nurmagomedov – Conor McGregor showdown. Sporting News will be providing updates throughout the day along with round-by-round scoring beginning at 8 p.m. ET. 11:30 a.m.: Eddie Alvarez and Dustin Poirier will settle their score this evening at UFC Calgary. Who will emerge victorious and reign supreme? 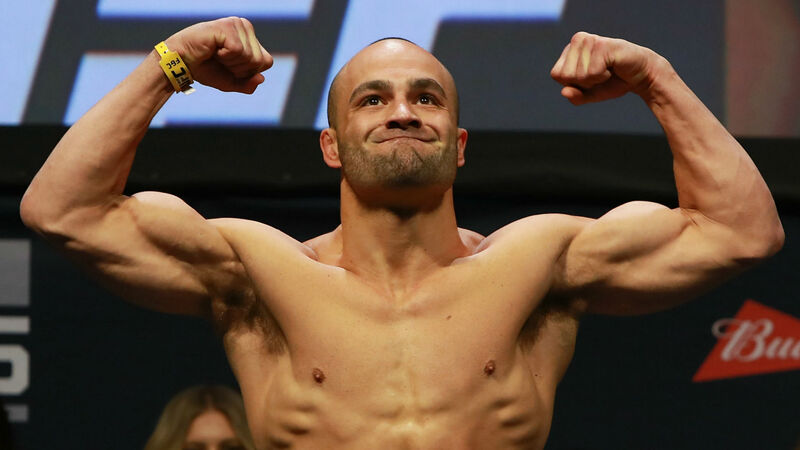 SN will provide coverage throughout the day until the main card begins at 8 p.m.
– Eddie Alvarez tells SN he’s betting on himself by taking the rematch against Dustin Poirier. – Poirier explains to SN why he didn’t think Alvarez would accept this fight. – Jeremy Stephens wants to do one thing. He tells SN what it is.